I made a new dress this week for myself, The Casual Lady Pattern by Go To Patterns. I love it! 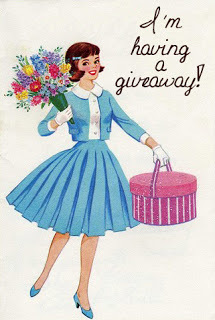 Also my book giveaway is still up! 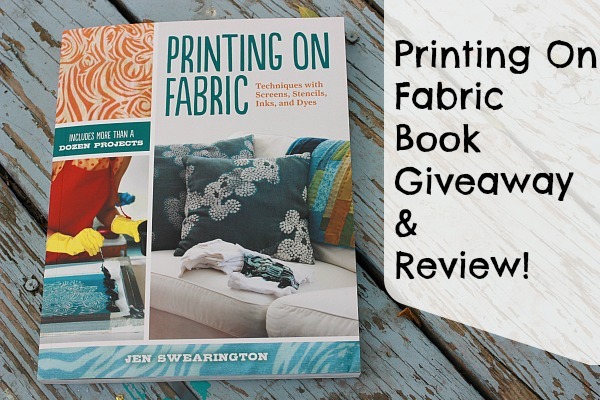 The Printing On Fabric book Giveaway will be up until this evening so it’s not too late to enter. 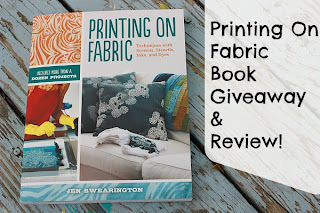 Stop by here to enter to win a copy and read my review. It’s a great book, BTW. So let’s see some featured projects from last week! The Back To School Dress by Lollipop Garden Crafts. 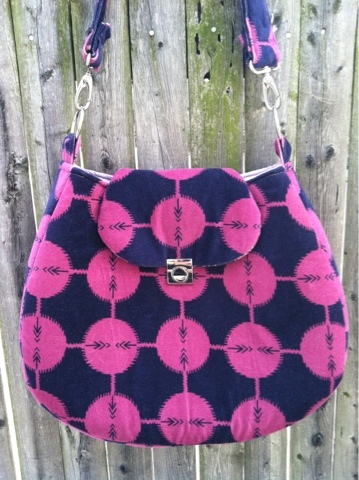 Uptown Hobo in Velveteen by Rose is a rose. If you have a page were you list your featured post feel free to grab a button! Just copy the code in the box and paste it on your site & my clickable image will magically appear! And here is a party button. Also, if you post here regularly I hope you can follow my blog. Thanks again! Lovely Chevron Dress 🙂 Thanks for hosting Justine ! I’m sew excited to be able to link up finally! I am slowly but surely teaching myself to sew. Thanks for hosting. I don’t have any sewing to link but I gotta look around! I’ll come back as soon as I get my next post up. I love your features this week, I visited them at your last party. Thanks for hosting! OHHHH that back to school dress from the features….beeeeeaaaaaauuuutiful! And the photo is SO cool!